As early as 1954*, the department had been providing emergency first aid but it wasn’t until the 1960s that the first formal rescue squad was established in Brewster. Chief Roy Jones, back then a captain, played an instrumental role in creating and promoting the early rescue squad and served as the department’s first rescue captain. 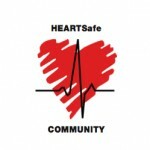 In the early 1970s several department members became certified in CPR and as Basic Emergency Medical Technicians. The Brewster Fire & Rescue Department has now been providing ALS (advanced life support) care to the community since it was first made available in 1975. Brewster was one of the first departments on the Cape to have members trained as paramedics through the Cape & Islands EMS paramedic program. Upon completion of the first class in 1975, our paramedics became part of the first and most advanced ALS system in Massachusetts and even the nation! 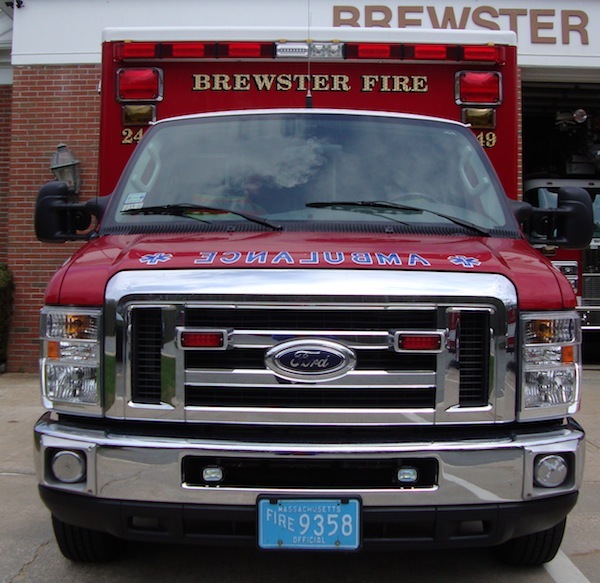 Today the department operates three (3) Type III ALS ambulanceswhich are staffed by Brewster Fire & Rescue personnel. All of our career firefighters and many of our on-call members of the department are EMTs (emergency medical technicians), either certified to the basic EMT or advanced Paramedic level. The department strives to provide the highest quality of care to its’ patients and the community with well trained personnel and the best equipment. In 2002 we responded to over 2,000 medical emergencies, nearly a 10% increase over 2001. Medical emergencies during the daytime (8AM-6PM) are generally handled by the on-duty personnel at headquarters which typically consists of two firefighter/paramedics, two firefighter/EMTs, and a fire captain/EMT. During the nighttime (6PM-8AM) the two firefighter/paramedics* on duty are accompanied by an on-call “rescue squad” consisting of three (3) EMTs responding from their homes. There are five (5) rescue squads lettered ” A” through ” E”. Each squad rotates and is therefore on duty every fifth night. Due to the increasing number of simultaneous emergency calls, the department attempts to maintain two firefighter/EMTs covering the station at all times. This coverage is to improve service and reduce response times during simultaneous incidents. Day or night, when additional personnel are needed to assist at the scene of a medical emergency, or to staff the other ambulances for simultaneous medical calls, then off-duty and on-call EMTs are utilized. The fire dispatcher will notify department EMTs, via radio pagers, by “toning out” the request for assistance and EMTs will then respond from home.